Special Offer: Now just $1.99 for a limited time! Featuring workouts from the Men’s Health magazine poster series, Men’s Health Training Guides offers 10 challenging new training programs a year across all your iOS devices including iPad, iPad mini, and iPhone. Plus, track your progress and see your improvements with our added logging functionality. All subscribers get access to the enhanced training guides on both iPad and iPhone. You work out regularly. You eat healthfully. But when was the last time you noticed a serious jump in your fitness level? Getting in shape requires more than just exercising your gym membership; you need a targeted plan that turns on muscle growth, cranks up fat loss, and primes your joints and nervous system for peak athletic performance—a plan like you’re holding in your hands right now. Each of the month-long programs in Men’s Health Training Guides is carefully engineered by one of the nation’s top trainers to maximize results in record time. You won’t waste hours in the gym lifting for nothing. You’ll never spin your wheels on a treadmill. And your days of staring at the mirror looking for a glimmer of change are over. You’ve found the fast track to the body you’ve always wanted. And it’s going to feel damn good. Then, download additional training guides for $0.99 each, or subscribe for $7.99 and get 10 new training guides a year as they’re released. These guides are intended for people who are healthy enough to exercise. Always consult your physician before beginning a workout program. 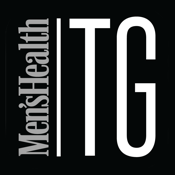 1-year subscription: $7.99 for Men's Health, automatically renews for additional years of access and is charged to your iTunes account until you cancel. Your iTunes account will be charged for the first year subscription at the time of purchase. AUTOMATIC-RENEWAL: Your subscription automatically renews unless you turn off auto-renew at least 24-hours before the end of the current subscription period. To subscribe tap one of the subscription banners located in the top left of the Library or Home pages inside the application. iTunes will automatically charge your account at the same price stated above for each annual renewal period 24-hours prior to the end of the current period. No cancellation of the current subscription is allowed during active the subscription period and no refunds are provided by iTunes. Automatically downloads updates unless changed in Settings.